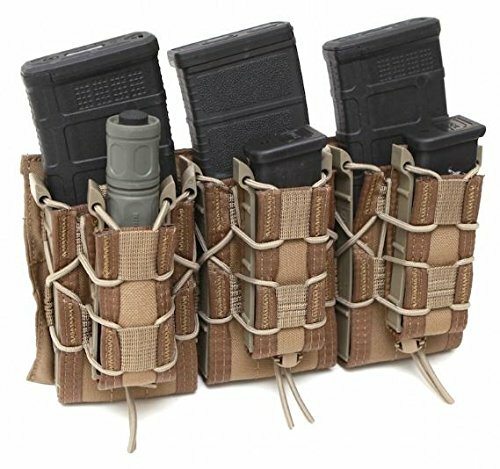 Let’s look at Plate Carrier Placards. First of all, what is a PC Placard? It’s a modular front panel meant to be quick attached (or detached) to the front of a plate carrier (or “PC”). Why modular? This let’s you quickly and easily swap load-outs. 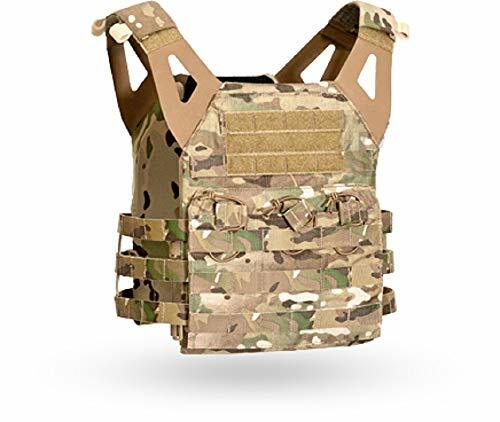 First of all, you’ve got to find one that is compatible with your Plate Carrier. 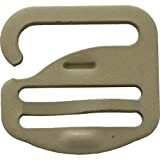 There are a variety of attachment options include: “G hooks”, side release buckles, and other attachment methods – some of which are proprietary. Here’s what a G hook looks like, in case you don’t know. Most of these placards are roughly three M4 mags in width – or about 6 MOLLE columns. 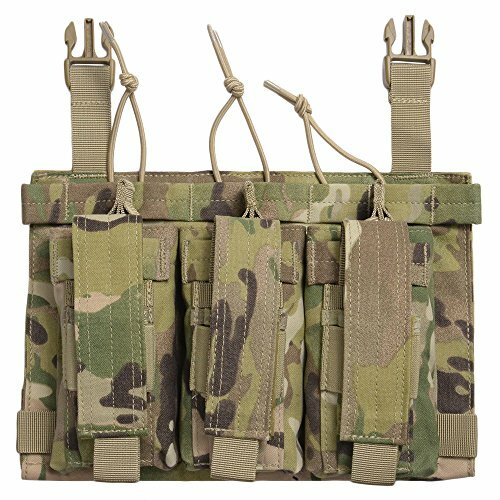 As one example, here’s the Triple HSGI Taco Modular Panel (Buy on Amazon). 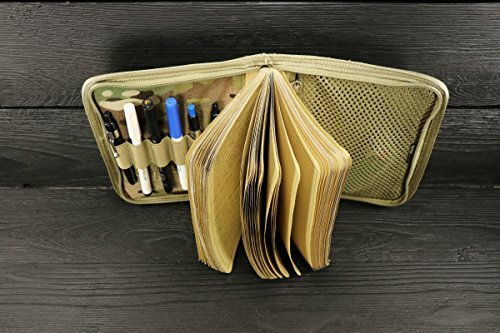 You can see this has room for 3 M4 mags, plus 3 pistol mags – or other gear – like a flashlight. This is meant to work with LBT (London Bridge Trading) or LBX (London Bridge’s budget line) gear. The Condor Vanquish Armor System Accessories Kangaroo Mag Panel (Buy on Amazon) is another example and meant to work with Condor’s Vanquish Armor system. You can see the buckle system used for attachment – of course your PC must be compatible to use this. Modular front panel placards for your plate carrier are a great idea. They let you swap out kit quick and easily – and mean you can customize your rig according to the mission. 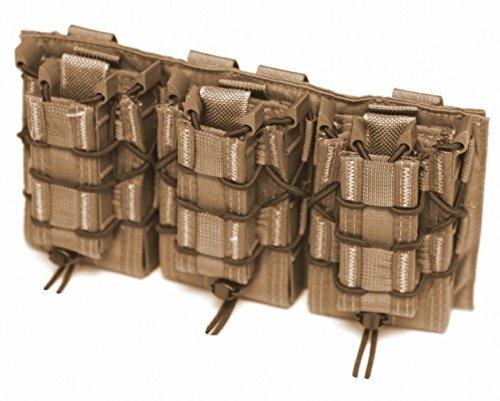 These modular panels can be attached and detached much more quickly than threading MOLLE webbing. 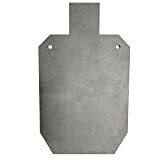 However, you must get placards that are compatible with the attachment system on your plate carrier.